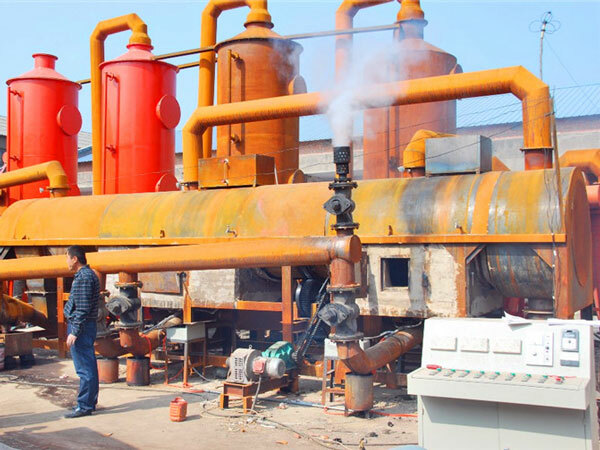 If you have no idea about how to get carbonized rice hull, you can choose our rice husk carbonizer, which can help you process the waste rice husk to biomass charcoal. 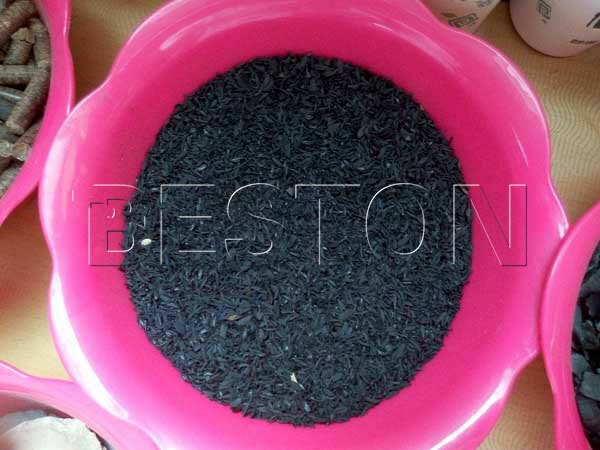 The rice husk charcoal has a higher content than common charcoal, and the usages of the rice hull charcoal are also wider. The rice husk charcoal can be used as fertilizer and fuel, and you can also make activated carbon from the rice hull charcoal. 1. The adoption of one fire, two steps method is unique. Because this method can save a lot of energy. Using one hot air source can both heat and dry the raw material. That is why we can it as one fire, two steps method. 2. The double-layer design makes the heat utilization efficiency higher. 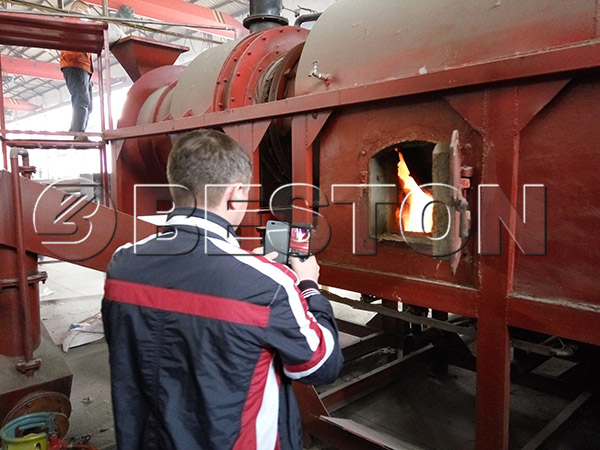 Under the inspection of related institutes, the heat use ratio of our equipment is over 85%. This special design of our rice husk carbonizer makes the the lower part of the machine contact the hot air as much as possible, so it is helpful to raise the heat utilization efficiency from the beginning. 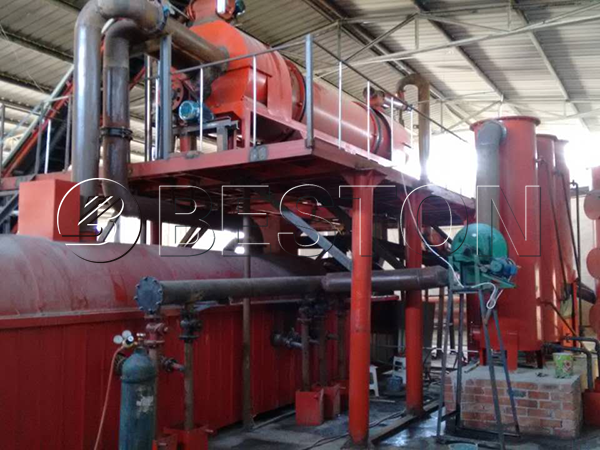 The higher layer equipment utilizes residue heat to flash steam the materials. This is the second stage to raise the utilization efficiency of heat. The optimized and concentration multi-pipe design of hot exhaust gas, including recycling pipe, carbonizing and fission heat collecting pipe, flash steaming steam collecting pipe, and combustion emission collecting pipe can raise the heat utilization efficiency for the third time. 3. 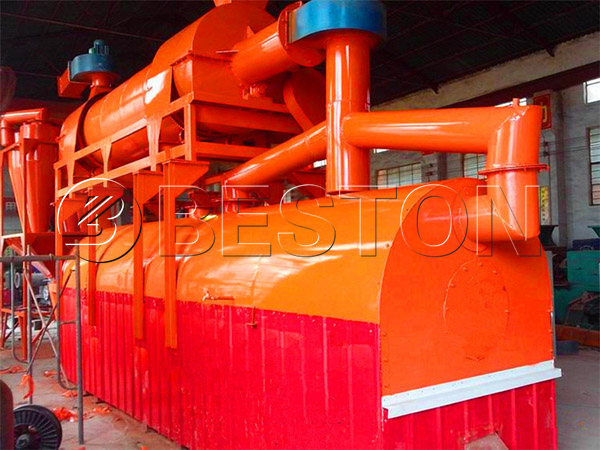 The security design is another advantages of Beston rice husk to charcoal plant. 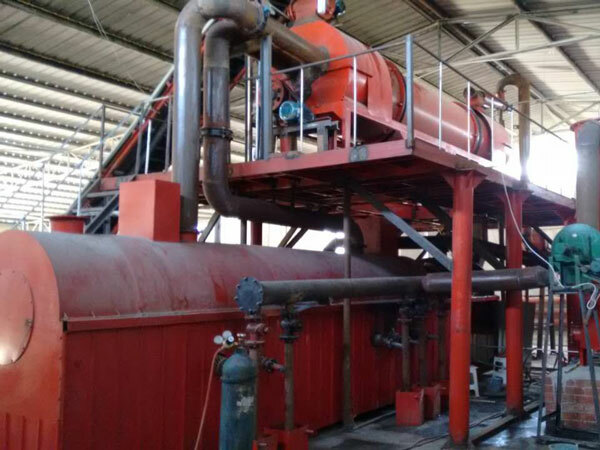 Firstly, taking the safety of the operators into consideration, we equip the rice husk carbonization plant with protecting shell, so the operators will not be harmed by high temperature. Secondly, the gas treatment device makes Beston rice hull carbonizer does no harm to the environment. In addition, the over-pressure automatic alarm system can make sure that the rice husk carbonization machine can work under the normal temperature and pressure. 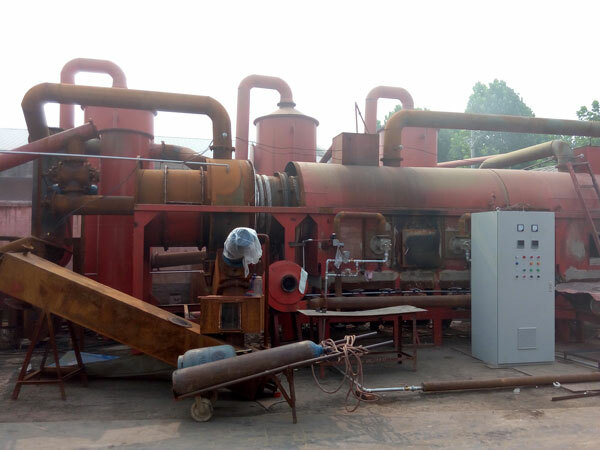 Using rice husk carbonization equipment can recycle the waste into energy, and the rice husk charcoal can bring you benefits at the same time. With so many advantages, our rice husk carbonization plants have been exported to many countries, including America, Poland, Turkey, Canada, Peru, Africa, Southeast Asia, etc. If you are interested in our products or want to know more information about our company, please feel free to contact us.